Lack of Christmas decorations to adorn your house this holiday season? BestDeals is here to help solve your problem. 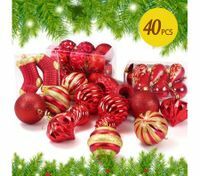 We have stored a wide selection of Christmas decorations for you to choose from. 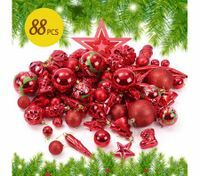 Whether you are looking for Christmas tree, Christmas Santa ornament, small ornament sets, or Christmas wall stickers, you can always find your favorite ones at reasonable prices from BestDeals. 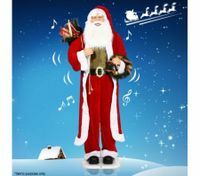 The Santa Clause we offer here are different in size, material, and more. 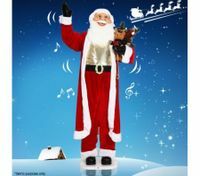 One kind of Santa Clause is as tall as a man and able to wave, nod and even sing. 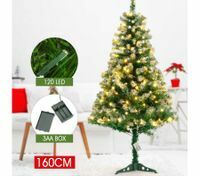 Just welcome this new “family member” at Christmas, which can create excellent Christmas environment for your family. 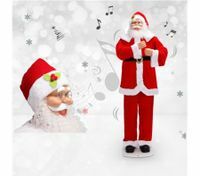 Furthermore, our Santa Clauses are sold at considerably low prices! You definitely deserve one! As another essential element at Christmas, our Christmas trees with LED lights can be one of the most eyes-catching decorations. 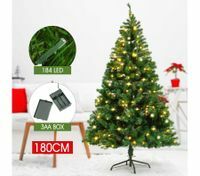 To buy Christmas trees from BestDeals is a sensible choice since we’ve already equip dazzling LED lights with it, so you don’t need to drain your wallet for more Christmas lights. 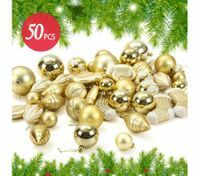 Check out other Christmas ornament at our store now! High quality and low prices are guaranteed at BestDeals.